This is a puff! The netting is gathered on a clear hair comb. Very simple! 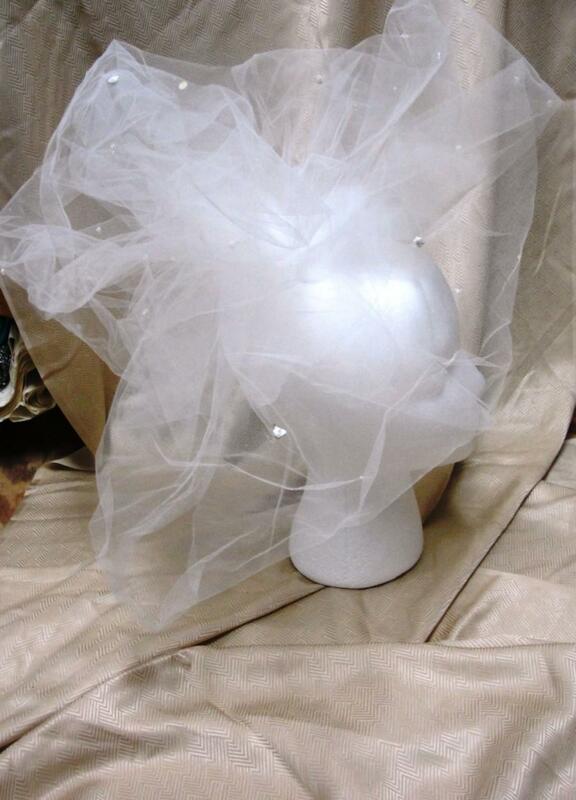 Very effective in saying: “I’m the bride!” Measures 16 inches from front to back, 8 inches high when puffed up and out, and about 14 inches from side to side. There are some sequins, beads, dots of snow attached randomly throughout the netting. Just enough to sparkle and dot the netting. Stored in a mold-free, smoke-free environment.